The setting is Paris, 1889, and the world is a strange and industrious place, run by Forgers and curators of fantastical items. Séverin is a treasure-hunter with a crew, and he’s looking to find the item he needs to be reinstated in his rightful place, to receive the inheritance taken unfairly from him—but the item will come at a cost, and he and his team will need to overcome many obstacles to retrieve it. I’d been meaning to read Roshani Chokshi’s work for quite some time, and when I heard about The Gilded Wolves, I immediately knew I wanted it to be my introduction to her stories. I’m a big fan of historical fantasy, especially stories set in real places but crafted very differently from what those places actually were in that setting, and I’m a sucker for a good heist story with lovable characters, both of which were facets Gilded promised to deliver. Luckily, Roshani is just as delightful of a storyteller as I anticipated she would be, because I was captivated from the beginning and found myself head-over-heels in love with this series by the end. The writing is so much fun, full of hilarious, laugh-out-loud banter and sweet, tender moments (I swear I highlighted half the book), and the heists and puzzles craft an air of endless suspense and intrigue. They might owe him their service. But he was the one bound to them. He was the one who would always be left behind. Even better, the characters in this story are some of the best I’ve ever met. They are all incredibly complex and real, and you’d be hard pressed to dislike any of them because they all have such lovable quirks and bits of their personalities. I never get tired of a good “squad” and this little gang of misfits has to be one of my new favorites! Oh, and there is a romance in this book that has some of the best romantic/sexual tension I have EVER read in YA (without ever being even remotely explicit). And though they were not all his tales, he saw himself in them: pushed to the corners of the dark. He was just like them. As solid as smoke and just as powerless. In fact, can we just stop right here and talk about these characters? Because, honestly, I tried writing this review without taking some time to gush over each of them individually, and I just couldn’t do it. → Zofia 🔬 Jewish, Polish, autistic (and so well-done, written with such obvious care and research), scientist/genius, wickedly funny, probably my actual favorite?? I have only one complaint about this book, and honestly, I loved the story overall so much that it pains me to even include this: I struggled with the world-building for quite a while. You’re kind of dropped right into the action from the get-go, and you’re forced to catch up on the run, which I normally love, but this world is just so intricate and has such a large-feeling magic system that I feel I would’ve benefited a bit from being given more of a primer before launching into the main plot. I actually have heard a few friends say it feels like this book needs a prequel novella in order for the world-building to fully function, and while I don’t agree that it’s entirely necessary, I do think it would be an AMAZING addition if Roshani ever chose to follow that route later on. 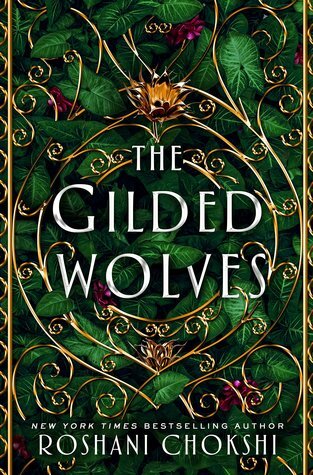 Minor complaints aside, though, The Gilded Wolves still feels like an easy 5-star read for me because I adored the characters so much and had such a tremendous amount of fun with the adventure and obstacles that really come into play in the second half. I cherish these characters so much, and in the two weeks it’s now been since I finished reading, this story has only grown more and more dear in my heart. I am beyond excited for the sequel and can’t wait to see what Roshani will do to indubitably wreck my life as the saga continues. Ultimately, I’d recommend this to any fans of historical fantasy, “squad” groups, and lovable, diverse characters, as well as readers who don’t require a tremendous amount of back-story or a slow pacing in fantasy. I also wholeheartedly recommend this to anyone who enjoys fun, flirty or otherwise humorous banter in their books. OMG Yes. I loved the characters and the story, but the world building left me drowning in a huge sea of possibility. I craved some boundaries. The magic system seemed capable of absolutely anything and that didn’t click with me. It was the amazing characters and their personal stories that pulled me through this. That and the lush setting. Lovely review, and I really enjoyed buddy reading this with you and Scrill! This found family is so precious and I adored every single character so much. This looks really amazing! I loved the author previous series (even if I’ve to finish it 😂) but I cannot wait for this one. I’ll try to remember to buy it and make it fit inside my tbr for the next year. Also, all of this characters? Yes, it’s basically an auto buy. Yaaay! I hope you enjoy it! Thank you! It’s such an excellent read, I hope you like it! I added this book to my TBR a few days ago so I’m really happy to see the positive review. Now I can’t wait to fall in love with these characters. Lovely review! Thank you, Merline! I can’t wait for you to read it and I hope you love it! Thank you, Marie! I’m so glad you loved it, too. 🙂 Yes, you worded it perfectly with “convinced by everything else” – besides the slight world-building issues, I couldn’t find a single thing to complain about here. I’m glad to see you enjoyed this so much! I’m reading this now but am only about 10% in so you have me excited to keep going. Great review! Thanks for the great review. I haven’t picked this book up yet but its one that I really want to! It’s soooo good, I hope you get the chance to read it soon! This is another one I’m really looking forward to in the new year, so excited by your review! Thank you Kelly!! It’s so good, I really hope you get to read it ASAP! 😂 Awwww, I’m sorry! Yeah, the rep in the book is AMAZING. Just… wow. I was in love with how effortlessly diverse the whole cast of characters was. Yaaaaaay! I can’t wait to hear what you think of it. It definitely isn’t perfect but it’s amazing nevertheless.